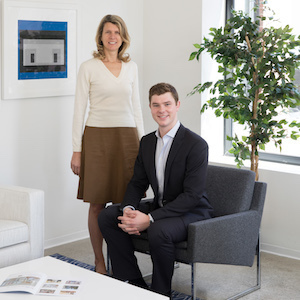 Chaplin Partners is an elite mother-son real estate team specializing in combining a modern, innovative approach with a 300-year family history in Weston. With complementary skill sets, Diana and Avery Chaplin deliver attentive client service, cutting-edge visuals and time-tested buying and selling methods that help ensure the best outcomes for their clients. A devotion to integrity and ethics is the cornerstone of Chaplin Partners' success and esteemed reputation in the marketplace. They create a welcoming environment for buyer's agents and are known among peers for their professionalism. The team's many accolades include a $20 million residential land sale, the highest in Weston to date, and the most expensive single-family transaction in 2016. Diana has consistently ranked among the top five agents in Weston, but the team's most rewarding recognition by far is their impressive record of loyal repeat clients and brisk referral business. Backed by more than 20 years of local real estate expertise, Diana is a shrewd and knowledgeable negotiator with a long list of community connections. Specializing in highly effective "whisper marketing," she promotes properties and drives demand throughout her vast networks. Part of a founding Weston family that arrived before the town’s 1713 incorporation, Diana offers an unparalleled understanding of the area’s enclaves. And, having built luxury new construction projects and consulted for the town's top builders, she has an invaluable grasp of the intricacies of building here, from permits to logistics. Avery Chaplin is part of a new generation of realtors who combine savvy deal-making, top-notch client service and technology to deliver a modern approach to the process of buying and selling property. Fueled by his passion for visualization, coding, online marketing and research, he gives Chaplin Partners a strategic advantage in the highly competitive, and increasingly digital, real estate landscape. As a fifth-generation Weston resident and a lifelong international traveler, he provides clients with impressive area knowledge and a worldly point of view.